Everybody knows the struggle. Perhaps you’ve moved to a new city or changed insurance plans, but once again you’re having to change a majority, if not all, of your healthcare providers. Switching providers can be nerve-wracking enough especially after developing relationships with your previous providers, but now your new providers are requesting your medical records and history. A seemingly innocent and simple task is actually much more complicated than most realize. If your previous providers didn’t have patient portals, you’re stuck with either digging up all your printed medical documents at home (that you hopefully stored and filed), make copies and carry files appointment to appointment, or you must pay your previous physician’s office to print copies of your medical records, many times paying per printed page. Then, the next physician’s office must take your papers and somehow manage putting that information into their electronic health records (EHR) system. In general, the process is extremely cumbersome on the patient, which leads to patient frustration and lack of participation, and ultimately less information for a physician to make sound medical decisions. Why can’t providers easily share data between each other? Why is it so difficult to share information in an age of EHRs and engaging patient portals? Shouldn’t the healthcare industry have figured this out by now? With other industries including banking and retail sharing information seamlessly, it’s hard to understand why healthcare is so far behind. 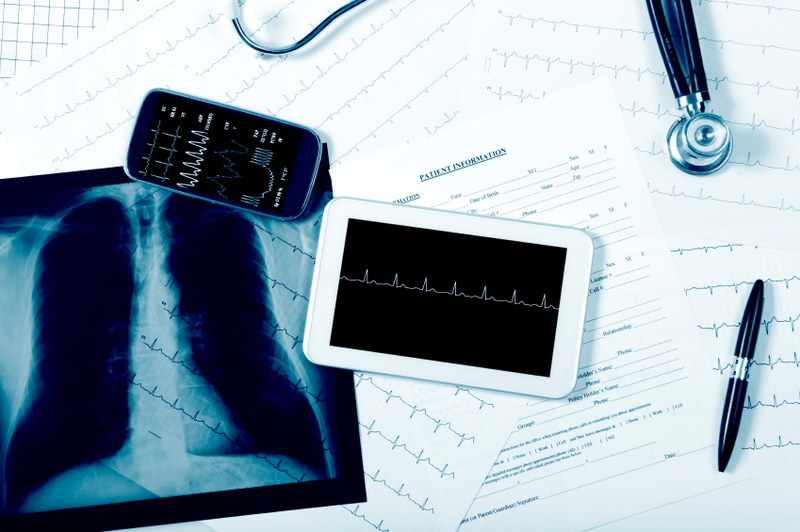 Let’s break down the history behind EHRs, digital health and health information technology (HIT) below and discover some solutions in our blog post. Healthcare providers, large and small, urban and rural, are all in need of telecom systems that can handle the huge data traffic created by telemedicine and Electronic Medical Records applications. The federal government is doing its part to enhance healthcare capabilities by providing funding assistance through several programs. The Healthcare Connect Fund (HCF) is the latest offering from the FCC and administered by the Universal Service Administrative Company (USAC). To help with learning the ropes of the HCF, training sessions will be held September 23-24, in Washington D.C. Day one will focus on the application process for health care providers (HCPs) interested in applying to the HCF Program as individual HCPs, and will also provide basic information about participating as a member of a consortium. Day two will instruct consortium leaders on the application process. Click Here for Detailed information about the training seminar! Register for the September 23rd Event! Register for the September 24th Event! With USF dollars available, there is no reason for healthcare providers, either in hospitals or small clinics, to under-scope telecommunications networks. All healthcare providers can now have access to the same network quality, features and designs whether they are urban or rural. However, there are always hurdles to overcome on the road to innovation. While there are many pieces to designing an effective telecommunications network, experienced companies know how to evaluate a healthcare facility’s current needs and make the right recommendations for the highest quality solution. Here’s an amazing fact. In the year 2014, more data will be created than all of the previous year’s combined! And, the healthcare industry will be the single-largest contributor to that data creation. That trend is going to grow with exciting advances in telemedicine. Urban and rural healthcare providers, as the largest contributor to this data expansion, must be ready to handle that exponential jump in data. Take a look at today’s healthcare telecommunications network infrastructure. Healthcare data networks have not decreased in scope, they’ve grown! This expansion in bandwidth is due to the increase in data generation over just the past few years. Remember when you used 16 slice MRI scanners? They are now 64 slice MRI scanners and growing! These advancements in technology will continue to expand the need for more bandwidth over time, and healthcare providers need to be prepared. Ease of bandwidth expansion - It is important to grow without having to “fork lift” the network. It is expensive and time consuming to make these changes, not to mention the interruption to your operations. Expert data monitoring – You must ensure that the road your data is riding upon is not being congested with unwanted traffic. You don’t want to be worried about how long it takes to transmit your radiology image because others are using the system. Maximum speed internet connections for reliable EMR, voice and video systems - If you are on a hosted EMR service, you rely upon a very fast connection to the public internet. Voice over IP services need room to effectively work. And, you can’t have your video streams stopping and starting. You should plan for these needs and then double it. With new regulations requiring our nation’s healthcare providers to use electronic medical records, the reliance upon a network that is up and working at “all times” is imperative. Not only is it important to keep the business side of the facility operating, issues related to effective patient care, access to clinical data and more have now become the cornerstone of the viability of the facility. By using today’s technology options for storing records and remote system operations, administrators, doctors and patients can have the peace of mind knowing that all important information is safe and secure, even in the face of a natural disaster. Telecommunications network services are no different to support than many of the medical devices needed to provide care. Simple and easy, one-source customer care is vital to your facility’s operations, especially in rural America where access to this support infrastructure is significantly lacking. Access to these enhanced telecommunications technologies are now much more affordable for all healthcare providers. You can be on the leading edge of telemedicine by maximizing your access to federal dollars. That funding also allows you to work with a quality telecommunications carrier that can help you design, install and maintain your system. After all, your doctors, medical technicians and especially your patients deserve the best care you can give them.